To view this week’s newsletter including information about the National Constructing Excellence Awards and upcoming events please click here. It’s common knowledge that our industry needs 230,000 new workers by 2020, and with fewer graduates coming into the sector and even fewer school leavers considering roles in the industry, the recruitment of military service leavers should be given serious consideration. According to the Charted Institute of Building (CIOB), around 20,000 people leave the military every year and the majority of them will possess the skills and background needed to have a successful career in construction. Those in the army have high management and problem solving skills, a great work ethos and team working skills better than most people. Sure, they don’t always have the qualifications, but the construction industry should consider the merits of attitudes and reskilling potential rather than attained technical skill. The army teaches people highly transferrable skills, and produces committed, highly trained people that I think can easily be moved into the construction industry and be beneficial to construction, and when you have people who possess such important skills, it would be silly to rule them out because of a lack of qualifications. As people around the country prepare to support Armed Forces Day tomorrow (25 June), we’re being made aware of more and more initiatives which are running to raise awareness of construction careers among the armed forces. We work in a people-based industry, what we need are leaders and those who possess highly transferrable skills. The Joint Enterprise Forces –Construction Employability Pathway (JEF–CEP) is a North East campaign, which trains young people and gives them Armed Forces experience at the start of their career to help as they progress with their onward pathway in the construction industry. The JEF-CEP program is a 12-week programme, which includes 4 weeks of Armed Forces exposure and 8 weeks of construction skills training meaning graduates of the JEF-CEP program get the best of both worlds, Armed Forces led soft skill development and a Level 1 Certificate in Multitrade Construction Activities. The programme is a solution to many of the problems we’ve faced in the past; getting young people into the industry, solving the job shortage, and finding people that have the skills needed to progress within the industry. I encourage companies within the industry, whether large or small, to take on apprentices from initiatives like JEF-CEP, they really are helping you kill three (or more) birds, with one very big, and very clever stone. 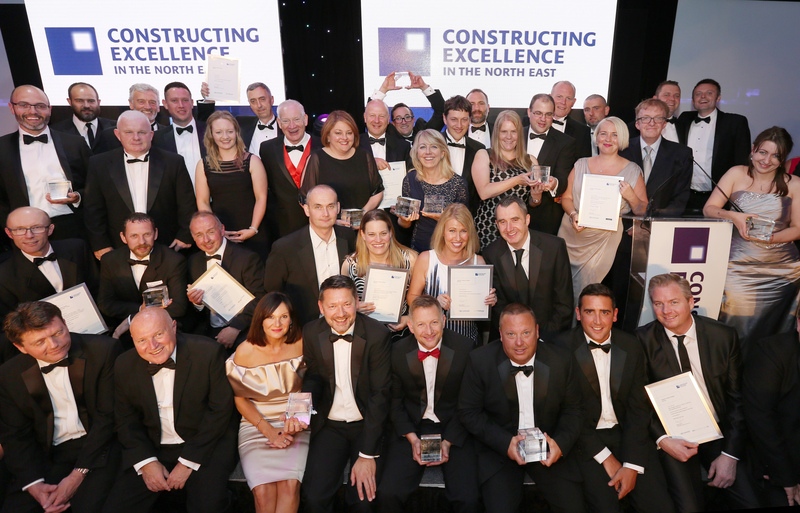 The best of the North East construction industry was recognised at the twelfth 2016 Constructing Excellence in the North East (CENE) Awards last Friday (June 10). 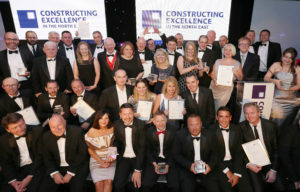 The awards celebrate all that is exceptional in the region’s construction industry and recognise those high-flying individuals and organisations leading the way in construction. Attended by over 550 construction professionals, the awards recognised individuals and organisations across 13 awards categories this year including, integration and collaborative working, leadership and people development, sustainability, SME, innovation, value and the prestigious project of the year. Catriona Lingwood, Chief Executive of CENE, said: “This year the calibre of entries was to a high standard and I am extremely impressed with the quality of work produced by the regions individuals and organisations”. Each category winner will join the other regional winners at the national final in London in November, giving them an opportunity to receive further recognition on a national acclaim. The awards have gone from strength to strength over the past 12 years, with the number of awards, standard of entries and number of attendees. We are overjoyed with the occasion it has created and wish to recognised all the winners throughout the last 12 years as they should be proud to have been involved. John McGovern, Head of Asset Delivery at Northumbrian Water and Chair of CENE, said: “Our awards are growing year on year and are very important to us as an organisation. Guests at this year’s awards also enjoyed a raffle to support the Lighthouse Construction Industry Charity which was originally set up in Whitley Bay back in 1956. Prizes included a Fortnum & Mason hamper and over £3,000 was raised on the evening. I’ve always been a real advocate for welcoming more women into our industry and I jump at the chance to celebrate and support women in construction. Which is why, when days dedicated to just that come around, I think it’s extremely important everyone gets involved. National Women in Engineering Day (NWED), which takes place next Thursday, highlights the opportunities available for women in engineering. The event takes place every year on 23 June and aims to raise the profile of women in engineering across the world. It’s your chance to get involved with this year’s theme of #RaisingProfiles by sharing stories about successful women within industry. There’s always disputes about diversity in the industry, mainly around gender imbalance. We’ve always struggled with the growing gender gap, but recent statistics show the imbalance goes far beyond the number of people working in the industry. The gender gap at universities, even at admissions stage, is growing. Whilst women show more of an interest into going into higher education at a young age and are more likely to attend university, they aren’t studying STEM (Science, Technology, Engineering and Mathematics) subjects, which will result in them working in our industry. We attended a debate recently questioning whether the industry has and implements the policies to best achieve diversity. The panel included representatives from across the North East civil engineering industry as well as guests from outside the industry who wanted to share their opinions on the topic. Among the panellists, was our Generation4Change (G4C) chair, Natalie Keyes, who delivered her opinion on equality, gender, race and religion. It was great to hear the opinion from both a young person and female who is up and coming in her field. UCAS statistics show that females only make up 17.4 per cent of applicants to engineering courses, and a third of women are ‘put off’ careers in STEM because they think they’re too male dominated – which is ironic because they wouldn’t be if more women would just take the leap into STEM subjects. I can’t stress the importance of supporting young people, encouraging them to pursue their passion and find a career that is right for them. The industry is in high demand of skilled engineers to address the shortfall we’re expecting over the next ten years. Encouraging women into engineering careers will increase diversity and inclusion, and fill skills shortages – it will just be a bonus if some of them were women. We need to look to the future, and realise that it lies with the youth of today, and it includes more women! To view this week’s newsletter and also hear about the CENE 2016 Awards that commenced on 10th June 2016 please click here. As you read this, final preparations are being put to Open Doors events all across the country. Last year, the event only lasted two days, but this year it’s offering a week of opportunities to see behind the scenes on construction sites. The event, which takes place next week (Monday 13 June – Saturday 18 June), allows people to discover how building and structures are constructed and find out about the range of skills and professions needed on site. It welcomes everyone from civil engineers, bricklayers, front of house sales managers and future architects to visitors of all ages and skill sets. Not only does the week give insight into how construction sites work, but it also provides the opportunity to learn about how to start a career in construction. With events like this, we tend to assume that the most interesting sites will be based down South somewhere that isn’t easy for people from the North to access, yet, this year, that’s not the case. Here in the North East, there are five big sites and projects to choose from. Morgan Sindell are opening up their improvement scheme on the A1 Leeming to Barton. They are offering the chance to see behind the-scenes both on site and in the office, as well as discussing the different career options that the industry can offer (probably in the hope that once we see the scale of what’s going on, we’ll be a little more conscientious when complaining about the roadworks we all have to sit through-but I’m sure it will all be worth it in the end when the commute to and from London is much easier). Both East Durham College, Houghall Campus and the Ogden Centre for Fundamental Physics are giving visitors the chance to see the construction of new buildings, buildings which are certain to have an impact on the North East, so it will be amazing to be able to say you witnessed some of them being built! Opening up these particular sites not only demystifies the sometimes frustrating construction process for the general public, it also excites them about what our industry can achieve and proves that the North East can proudly take its place in the national construction race. Events like this are the perfect opportunity for those contemplating a career in the industry and it means we get to show off exactly what we have to offer. I think things like this have a much bigger impact than just reading about what we do on paper, as people get a chance to see first-hand what it’s like to work in the industry and see something that we’re already aware of – what a rewarding career construction can be. To view this week’s newsletter including information about up-coming events please click here. The civil engineering sector and academia have joined forces to launch a project designed to provide students with a hands-on construction experience, The Constructionarium North East. The project is set to launch at the Owen Pugh Group’s Marsden Quarry site in South Tyneside on June 27th and will see 24 students from Newcastle University, Newcastle College and TyneMet College team up to construct scaled down versions of the Millennium Gallery in Sheffield, a distinctive modern arched structure, over the five days. Inspiration for the project came from Constructionarium Ltd, a Construction Industry Training Board based project in Norfolk, that enables colleges and universities to link with the industry to ensure students are able to apply theoretical construction knowledge in a practical, safe and relevant environment. Over the years’ participants have constructed bridges, dams and other civil engineering projects. With the Marsden Quarry site providing an ideal working environment and with strong support from the education sector, their project partners, Northern Counties Builders Federation (NCBF), the Civil Engineering Contractors Association (CECA) and Owen Pugh, the pilot project was given the green light. It’s great that the go ahead has been given to deliver the pilot in the North East. The project will help to bridge the gap between classroom learning and practical site delivery, which I think is essential when preparing students for working in the industry. The project will be overseen by a team of experts from the original Constructionarium project and civil engineering professionals from Owen Pugh. The students will be split into groups of varying abilities from a range of academic disciplines, to create their own 4m long Millennium Gallery which will be showcased at the end of the week. Students will be assessed throughout the week in everything from management, finances and delivery of the project itself from setting out the foundations through to assembly. The launch of Constructionarium North East adds to the growth of the very successful Constructionarium project. The students, who have to make all the decisions during the week, undertake all the tasks required to build a scaled down version of an iconic structure. By working with industry professionals in a safe environment, the students will get a genuine taste for the thrills of a career in construction. Before the event the students will all undertake necessary health and safety training as well as teambuilding, which will be essential in successfully completing the project. I’m hoping that Constructionarium North East will continue in the future. Project partners are calling for any civil engineering contractors and academic institutes who are keen to get involved to get in touch – after all, this is the perfect opportunity to give young people an insight into what life is really like in the industry. To view this week’s newsletter with information on upcoming events please click here.